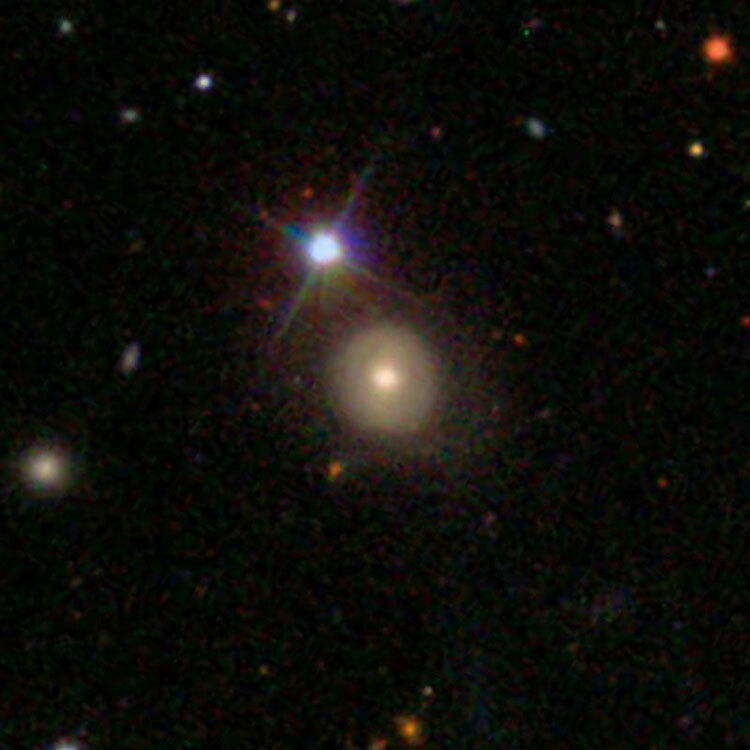 Apparent size 0.9 by 0.8 arcmin. 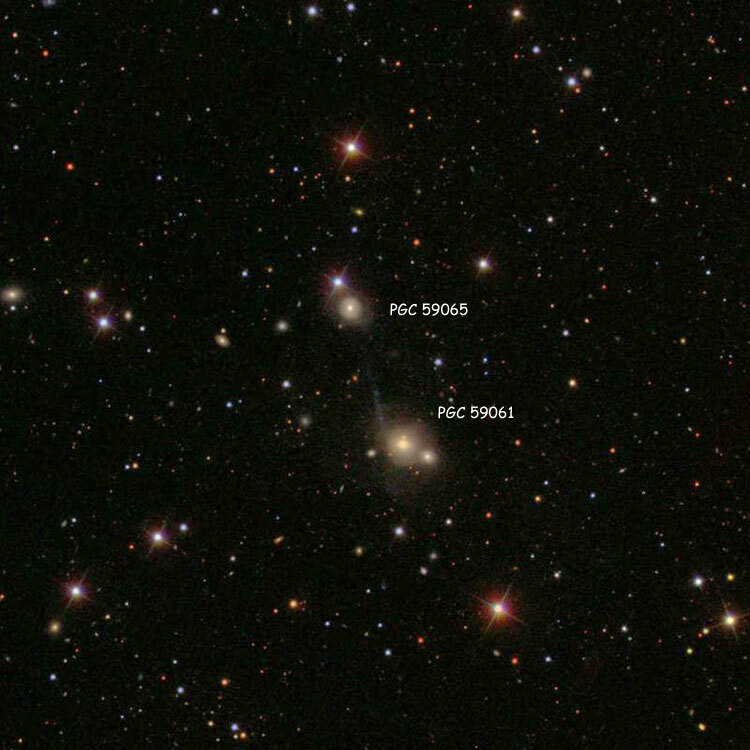 Used in the Arp Atlas as an example of an elliptical galaxy (PGC 59065) connected to a spiral galaxy. 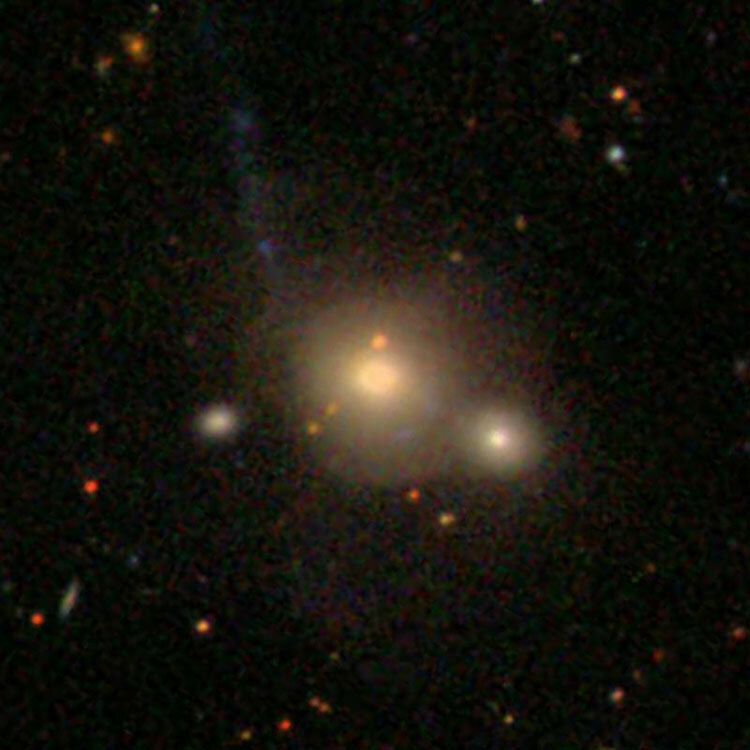 Apparent size 0.7 by 0.6 arcmin. 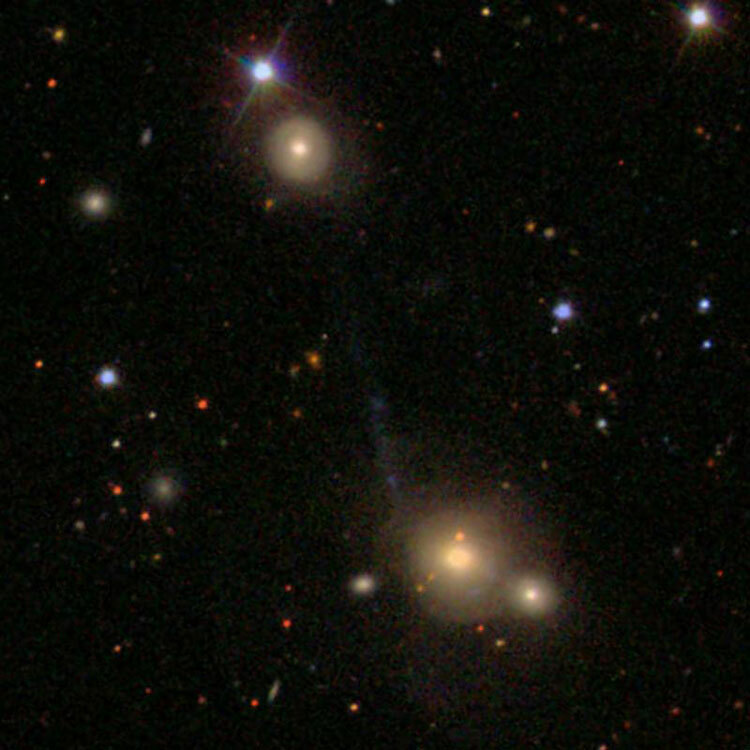 Used in the Arp Atlas as an example of an elliptical galaxy connected to a spiral galaxy (PGC 59061).